I agree with you, but don’t hold your breath while trying to change others’ opinions on this. The sales of over fifty million “Left Behind” books are a big hurdle to jump over. Great teaching though. God bless you. Thanks, Larry. I had never given much serious thought to end-time teachings and the rapture. I wasn’t trying to change the opinions of others but rather clear up my own fuzzy understanding of the the subject and answer the series of questions that my family member raised. For as 1 Peter 3:15 says, “Always be prepared to give an answer to everyone who asks you to give the reason for the hope that you have.” Blessing to you and Carol. Thank you, Derrick. You have written a concise though well thought out and referenced article on a subject about which most Christians are thoroughly confused. I remember years ago that so many church higher ups and denomination leaders pretty much made the “correct” interpretation of the rapture a salvation issue. Heads rolled. I was taught Pre-Trib as a rookie back in the 1970s and never thought about it much until several years later. I was Pan-Trib for a while (whatever happens will all pan out). 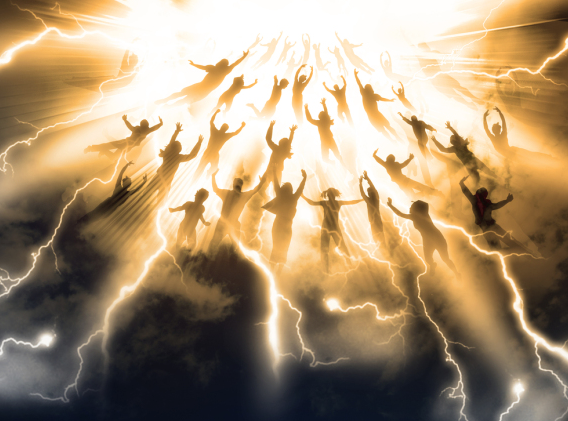 The revelation finally set in that the New Testament teaches no such thing as a Pre-Trib rapture. The Lord is only coming back once. There are not two Second Comings. Regarding tribulation, such has been going on since Day One for people somewhere in the world, Christian persecution being what it is.